How far does one have to descend to reach the Dead Sea? About 400 meters below sea level. How deep is this salty lake? Almost the same (in the northern section). Fascinating? Absolutely! Every detail about the Dead Sea is fascinating. Here are a few more facts: The Dead Sea is the lowest point on earth in any land mass (417 meters below sea level, to be exact). The quantity of water that evaporates from it is greater than that which flows into it, such that this body of water has the highest concentration of salt in the world (340 grams per liter of water). You will find dozens of hotels, hostels and guest houses, restaurants and shopping centers, as well as surprising tourism enterprises that offer a wide range of challenging activities (jeep and bicycle tours, camel tours and Bedouin hospitality, rappelling and more), alongside art and cultural activities (galleries and artists’ studios), and of course the unique agriculture, adapted to the local climate. Alongside these breathtaking natural sites there are also some purely historic sites of considerable importance in Israel’s past, which preserve the ancient charm of this area. Among the most prominent sites are the Massada fortress, ancient Ein Gedi and the Qumran cave site where ancient scrolls were found, including the Dead Sea scrolls, which offer some insights into early Christianity and the Essenes sect that lived at the site and is considered the beginning of Christian monasticism. The northwestern region of the Dead Sea is also a pilgrimage site for Christians who have visited here over the centuries especially during the Easter season. From here they go to the Jordan (the traditional site of Jesus’ baptism), and many still follow this tradition in our times. 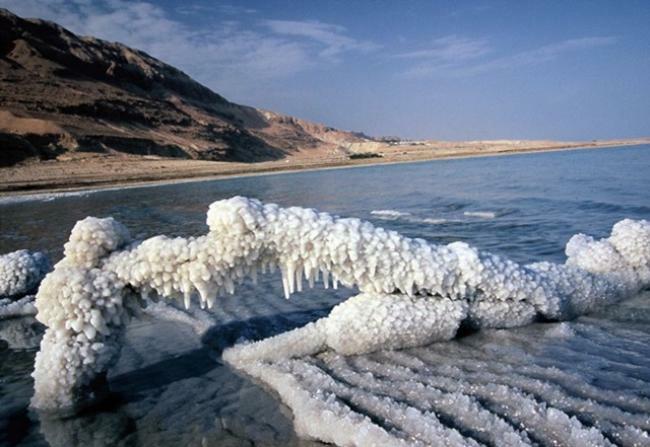 The Dead Sea can also be called “the lowest health spa in the world.” Sea salts are produced from the southern section for industry, and in the northern section promote tourism and good health. The composition of the salts and minerals in the water are what make it so unique and beneficial for the body.